ROME – Internationally renowned Italian experimental composer, pianist and musical constructivist Mario Bertoncini has died aged 86. He was a musical pioneer, a founding member of the first European composers improvisation collective, Gruppo di Improvvisazione Nuova Consonanza and made his own highly original instruments. His funeral was held Jan. 21 in Siena at the Basilica dei Servi, where the choir of the Chigiana Academy performed with organist Cesare Mancini. Born in Rome in 1932, Bertoncini studied musical composition under the guidance of Goffredo Petrassi, piano with Rodolfo Caporali, and electronic music with Gottfried Micheal Koenig. He began his career in 1956, performing widely as a concert pianist with symphony orchestras (with Bruno Maderna, Daniele Paris, Mario Rossi, Paul Hupperts, Roelof Krol and others), and in recitals throughout Europe. He then went on to perform in numerous countries across the world, including Israel and Korea. 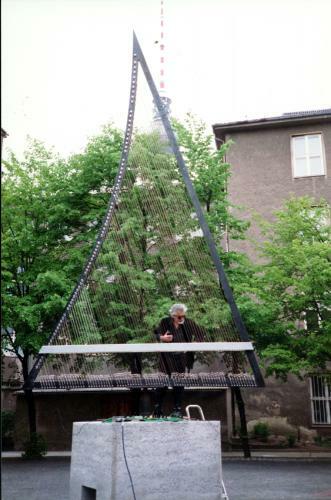 In 1962 the composer began to experimentally “prepare” acoustic instruments according to his own techniques, with and without the use of live electronics. Between 1964 and 1966 Bertoncini's experimentation with prepared instruments included innovative sound-production and sound modification resulting in pieces like: Quodlibet, Cifre, Tune and Scratch-a-matic. After obtaining the Nicola d’Atri Prize at the Academy of Santa Cecilia for his Sei Pezzi per Orchestra in 1962, Bertoncini then went on to win both the Gaudeamus International Composers Award and the Fondation Européenne de la Culture prize for Quodlibet in 1965. In Rome from 1965-73 he was a member of the avant-garde composers improvisation collective, Gruppo di Improvvisazione Nuova Consonanza. The group was committed to the development of new improvisational music techniques, with other members including Ennio Morricone and John Heineman. From 1970-1972 Bertoncini was President of the contemporary music association Nuova Consonanza. In 1968, Bertoncini explored the correspondence between the action of drawing and writing a text and its sonorous result through the Epitaffio. Following this, at the Venice Biennale of 1970, Bertoncini premiered his important multimedia work of Spazio-Tempo, a theoretic and practical work on the functional interaction of sound and gestures. Bertoncini taught at the Conservatory G. Rossini in Pesaro, Italy, from 1967 to 1973. At McGill University in Montréal he designed and taught an experimental composition course called “La Bottega dell’arte” from 1975 to 1976. Starting in 1980 the composer held a professorship at the music faculty of the Berlin University of Arts for over 20 years. 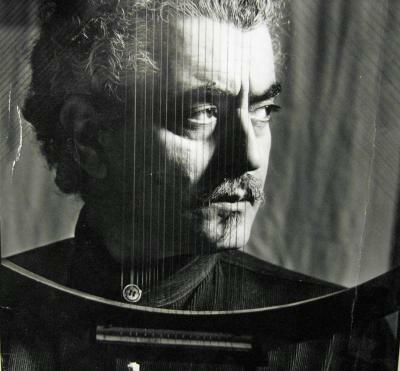 Bertoncini combined compositional work with performing activities as a pianist, including works by Scarlatti, Stravinsky, Messiaen, John Cage, Terry Riley, and Morton Feldman, as well as performing his compositions using his own sound objects (based on the principal of the Aeolian harp). He is included in the Grove Dictionary of Musical Instruments. In 1986, Bertoncini co-founded the theatre group VIE with Matina Schaak and Roberto Capanna. The years of 1992-93 saw the development and German patent of the ‘Stabdämpfer’ (bar mute), a special device used for the preparation of stringed instruments. He left Berlin in 2004, moving to his final home in Cetona. On Feb. 25, in memoriam, the Conservatory of Santa Cecilia in Rome is holding a roundtable discussion at 4:45 p.m. (Sala Medaglione) and a concert of Bertoncini’s music at 7 pm (Sala Accademica). Born Sept. 27, 1932 in Rome. Died Jan. 19, 2019 in Siena.